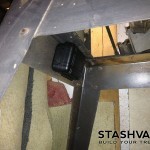 The Compact Magnet StashVault is a crushproof, watertight, airtight, dustproof, chemical-resistant and corrosion-proof hard case used to transport and protect items from the elements. 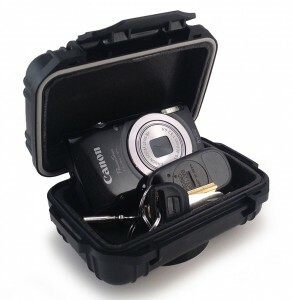 This magnetic dry box can be used to conceal a cell phone, wallet, credit cards, keys, cash, passport, camera, small weapon and other items you may need to conceal. 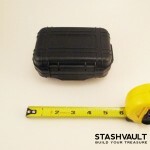 This size works great to house small gps units for cars, tractors and ATVs. The case is made of Ultra-High Impact ABS that makes it extremely strong and durable. It has a 0.125″ 3.2mm) neoprene o-ring and a strong closing latch that form a perfect seal. 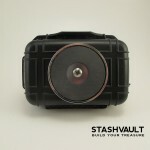 Get Your Own Stash Box! 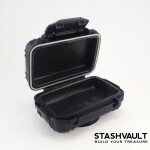 This portable stash safe can be used under a car, truck, hood, trunk, fire wall, camper, trailer, motorcycle, boat or in your home, office, shop, or hotel room. With a large heavy-duty magnet providing a 82 lbs. of pulling force, this box can hold whatever you fit inside of it to any flat steel surface. File cabinets, back of fridge, washer, dryer, AC ducts and metal tool boxes are all fair game subjects to attach this stash box to as well. – Free Shipping to the US!